Boxwoods are attractive evergreen shrubs that retain their emerald-green color year round. 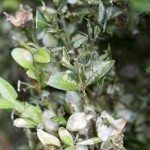 Unfortunately, boxwoods are susceptible to a variety of diseases, and a fungal disease known as volutella blight on boxwood is one of the worst. Read on to learn about volutella blight control. The first sign of volutella blight on boxwood is delayed and stunted growth in spring, typically followed by die-back of branches. Leaves turn yellow, darkening to tan as the disease progresses, often with black streaks on the petioles (small stems that join the leaves to the branch). Unlike healthy leaves that spread out, leaves affected by volutella blight remain close to the stem. If conditions are wet, you may notice masses of pinkish spores on the lower surface of foliage. Bark of affected plants peels away easily. Ensure boxwoods are planted in well-drained soil with a soil pH between 6.8 and 7.5. Spray boxwood with a copper-based fungicide before new growth emerges in spring, then spray again immediately following pruning, and again in summer and autumn. Spray carefully to penetrate the thick foliage. Remember that fungicides can be an effective preventive measure, but they are not a cure. Water boxwood as needed to keep the soil evenly moist but never soggy. Avoid overhead watering. Instead, water at the base of the plant, using a garden hose, drip system or soaker. Sanitize pruning tools before and after each use. Use sharp tools to prevent scratching and tearing plant tissue. Prune the diseased boxwood to improve air circulation, light penetration and overall growing conditions. Remove all dead growth, including leaves that are caught in the crotch of branches. Work carefully; pruning wounds provide an entry point for the disease. 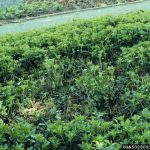 Prune only when the plant is dry, as pathogens spread quickly in damp conditions. 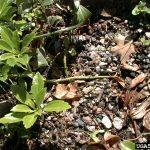 Rake up all debris under the plant after pruning, then burn diseased debris immediately to prevent spread of the disease. Alternatively, dispose of debris in a tightly sealed plastic bag. Never compost diseased plant material and keep in mind that fungus can live in the debris for as long as five years.